State Certification Archives - SBC Consultants Inc.
On June 2nd, 2014, Metro officially announces their Small Business Set-Aside Program to level the playing field for Small Business Enterprise (SBE) by setting aside contracts that only SBE Certified firms can compete for as prime contractors, suppliers and consultants. Depending on the type of procurement, contracts will range from $3,000 to $5 million. As long as there are 3 or more SBE certified firms available for a single contract, the set aside will be set for them. Enables SBEs to compete as prime contractors, increasing the opportunity to win contracts. Levels the playing field by limiting competition. Notifies of SBEs of eligible contract opportunities. 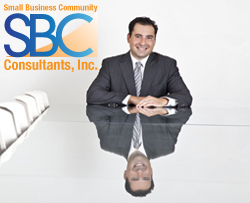 Builds firm capacity, allowing SBEs to take on larger contracts.